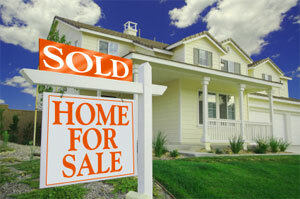 The real estate and construction industry in the United States continues to cast signs of recovery. On one hand, sales of existing homes in the country increased by 7.8% in August, which is the highest percentage growth in more than a year, and on the other, the pace of housing starts increased by 2 3%. The housing market points higher after the Federal Reserve announcement that it will purchase billions in mortgage securities. The pace of purchases in July pointed to a total of 4.47 million units sold in the year, but with the increased activity in August real estate agents now estimate that close 2012 with about 4.82 million transactions. This level of operations August is the highest since May 2010 and the progress percentage, the highest since August 2011, as reported by the National Association of Realtors. The average price of the house used has risen by 9.5% in the last year stood at about $ 187,400. In addition to the rise in purchases, the other positive housing data coming from the U.S. is referred to the pace of new housing construction, which has increased by 2.3% in August. This percentage is in line with the sector's recovery, according to data released by the Commerce Department. The annualized rate of start of work stood at 750,000 units, close to the highest level in four years and 29% higher than in the same month of 2011. Despite this increase, there are signs that the housing sector could stagnate as building permits fell to an annualized rate of 811,000 in July to 803,000 in August one. The number of building permits for single-family homes, which account for almost three quarters of the housing market, rose in August to an annualized rate of 512,000, the highest since March 2010. The Federal Reserve announced that it will acquire each month some 40,000 million in mortgage securities until the economy strengthens their recovery. A decision that could push interest rates even lowers levels and encourages homeownership.